Up until 1993, Las Vegas suffered with the worst public transit service in the US. A total of only thirty-five buses served a population then approaching one million. Nineteen of the newer buses served the lucrative Strip route while the others, many over thirty years old and without air conditioning, operated in a haphazard manner throughout the city. The franchised operator, Las Vegas Transit Inc., often claimed it did not generate enough money to purchase new equipment or expand its existing service to serve local needs. No one in public office questioned their numbers. In the meantime, the company was a generous political campaign contributor especially to politicians who sat on public boards that protected the California based company's exclusive franchise. In 1988, I served on the Regional Transportation Commission of Southern Nevada (RTC). A financial audit of the city's bus system was due, and I was assigned the responsibility of supervising the audit. During the audit, it was discovered that the transit bus operator was keeping the loosest set of books since Bugsy Siegal. At the outset of the investigation, the buses that ran on the Las Vegas Strip were each discovered to have two sets of money vaults stamped with the same serial number. It was also discovered that the company routinely used White Out on its financial records. Then I discovered that the electronic metered fare boxes that came with each bus had been replaced with antique unmetered boxes -- an immediate red flag! I set up interviews with several Strip bus drivers who had voluntarily come forward to say their employer was skimming the profits off the Strip route. The city attorney and several other members of the RTC attended the interviews. Under oath, drivers told us it was normal for them to be pulled over in mid route by supervisors who would remove and replace the money vault. They all said this would happen whether the vaults were full or not. Several questioned how this practice would affect them in the event they were accused of pilfering since their fare boxes no longer had the ability to count the fares? We then interviewed several persons who worked in the counting room of the purportedly private bus company. The money counters had also requested to meet with us in confidence. We were told that cash was sometimes left in unlocked safes, and that company management would often visit the counting room after hours. Upon hearing this we asked the cooperating money counters to secretly fax a copy of the daily "tally sheet" for the Strip bus route to a city auditor following each shift so we could determine the total cash intake per bus per twenty-four hour period. The money counters agreed to do this without telling their management. Then I personally began randomly riding the Strip buses with a clicker in my pocket. On my first night, I counted approximately 800 fares on the bus I monitored for eight hours. Since the fare was an even one dollar, it would be easy to spot any differences on the tally sheet. The next day, the tally sheets arrived at City Hall. The bus I had ridden recorded only 250 fares for the eight hour shift I monitored! With this information in hand, we assigned a team of trusted Fire Inspectors with clickers to secretly ride on the Strip route and count the fares for a one month period. At the end of the month their counts were compared to the company's tallies and showed even more divergence. Based on the Fire Inspector's findings, city auditors estimated that up to ten million dollars per year could be unaccounted for. I realized that the amount of possible skimming was staggering since the same company had held the exclusive franchise for over forty-nine years and previous audits had been less than comprehensive. Then I was called into the Mayor's office. Former Mayor Ron Lurie advised me to turn the audit over to him -- that he was more experienced and could do a better job. He also said that a new bigger bus system would encourage more poor people to move to Las Vegas. I politely refused his offer, but while in his office I could not help but notice a photograph on the wall showing the families of the Mayor and LV Transit's President vacationing together in Hawaii. I decided to make the preliminary audit information available to the press hoping it would bring forward additional information and get the Mayor off my back. The next morning, a blaring headline in the Las Vegas SUN proclaimed "Skim cloud darkens Las Vegas Transit System." Immediately, additional LV Transit employees began calling my City Hall office with valuable information, and the state Public Service Commission joined the investigation. Little did I care that I had stepped over the line -- making scores of new political enemies including several that held statewide office. Following the front page headlines, the owners of the transit company filed a personal lawsuit against me saying I had provided the press with false and damaging information. Then their lawyers demanded I recuse from any further discussions or actions regarding their client's company. I refused to yield to their threats and proceeded full steam ahead with the remainder of the audit. I then received an unexpected call from the company President. He politely offered me $10,000 for my next political campaign. The check was to be delivered that same day. I refused the "campaign contribution" and informed the City Attorney. The audit continued and additional damaging information emerged. More newspaper headlines followed, as did threats from company attorneys. I asked the City Attorney to defend me. In typical Sin City fashion, I soon learned just how deep the corruption at City Hall was rooted when the City Attorney told me I was "on my own." With no help coming from the city, my homeowner's insurance was forced to pay for my defense. That's when I vowed to put the offending bus company out of business and work to remove those politicians and appointed officials who were doing their bidding. In 1990, LV Transit Inc. was in its 49th year of operation as Las Vegas' exclusive transit provider. With only one year remaining until their golden anniversary, I brought them before the City Council to show cause why they should retain their franchise. In the face of overwhelming evidence presented by the city Finance Director and City Manager, the company's arguments were discounted and their franchise revoked by unanimous vote of the Council. However, their legal action against me intensified knowing it would take several years to find a replacement company, and during that time the old system could remain in business -- particularly on the Strip. 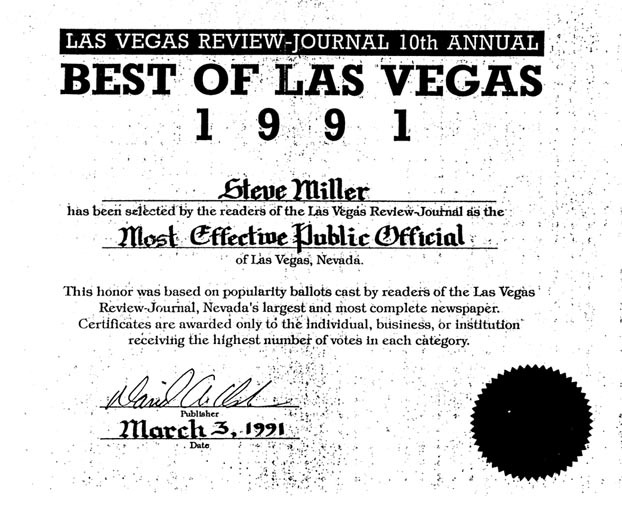 After the franchise revocation, the readers of the Las Vegas Review Journal honored me with the Most Effective Public Official award for my efforts. I used the award to base a run for Mayor, however my political fate was already cast in stone. I was about to lose the election to a woman who would soon prove to be a close friend of the embattled transit bus operator. Jan Jones, our city's newly elected Mayor, immediately took my seat on the RTC. With Jones on the powerful board, the old bus company began to regain its political strength. Jones was a loyal defender of Las Vegas Transit while Commissioner Bruce Woodbury, the board chairman who had participated in the audit, knew the company had no financial accountability. The two powerful politicians locked horns. Woodbury and I had worked together to find a new transit provider. Before I left office, we agreed that a company called ATC VanCom would do best operating the new system. However, Jones wanted to split the system and allow her crony to cherry pick the Strip route leaving ATC VanCom the unprofitable local routes that would require taxpayer subsidy. With Jones at the helm, it looked as if her scheme would come together. The excuse given by Jones to let her friend have exclusivity on the Strip was that Federal Rule 3-E prohibited a publicly funded company from competing with a private enterprise. Jones' friend claimed to operate a private enterprise, thus 3-E would protect him. Then something unexpected happened. A an-hoc group formed calling itself Citizens for Better Transit. Their sole purpose was to completely remove and replace LV Transit so that a new financially accountable company could provide service to the entire city with the Strip revenues supplementing taxpayer subsidies for the less profitable routes. One of the group's members was a disabled man named David Beamis. Mr. Beamis lived seventeen miles away in Henderson and traveled by bus to the meetings in Las Vegas. One day while riding on one of LV Transit's dilapidated buses, the bus swerved to avoid an accident and David's wheelchair came lose from the tie downs. He sustained serious injuries and was hospitalized. After receiving no financial assistance, Beamis sued LV Transit Inc. for his medical expenses. The company defended itself by falsely claiming Beamis faked his injuries, and that he threatened the life of the company's President. Then, Beamis unexpectedly accepted a $6,000 out of court settlement. I was very disappointed when I heard of Beamis' low-ball settlement that did not begin to cover his medical expenses -- until I learned the reason why he acquiesced. Even though he would not be able to cover his medical bills totaling over $20,000 with the bus company's heartless offer, Beamis had a terrific trick up his sleeve to rid our town of the LV Transit scourge. Beamis had signed a confidentiality agreement with the company -- an agreement he was willing to break. He brought a copy of his secret settlement agreement to me. The agreement stated that in exchange for $6,000, Beamis would give up his right to ever ride on the company's buses again. The signature of Barry Perea, the President of LV Transit, appeared next to Beamis' on the secret agreement! By this time it looked as though with Jan Jones' help, the old bus company had a lock on the Strip route because of the Federal no-compete law. Upon seeing the secret agreement, I told Beamis he should immediately file a civil rights complaint with the Federal Transit Administration in Washington, DC. He was one step ahead of me. Beamis had already placed a call to the Civil Rights office and they were busy processing his discrimination complaint. Within days a letter arrived at David's home. It was from the Director of the Federal Transit Administration. The Director stated that he was opening an investigation of the Las Vegas Transit System, and because LV Transit Inc. was federally funded, they had seriously violated the Americans with Disabilities Act by barring him. They were "Federally funded?" If so, Rule 3-E did not apply. This was the first documented proof we had that the old company was federally funded and not entitled as Jones claimed to operate exclusively on the Strip safe from tax funded competition. The Federal Transit Administration Director stated in his letter that Las Vegas Transit had been the recipient of tax support because the federal government had given the City of Las Vegas grants to purchase new buses leased back to the company. Bingo! David Beamis and I immediately paid a visit to the RTC attorneys and presented them the Director's letter. The rest is history. Jan Jones walked out of the next three RTC meetings when her friend's items appeared on the agenda. 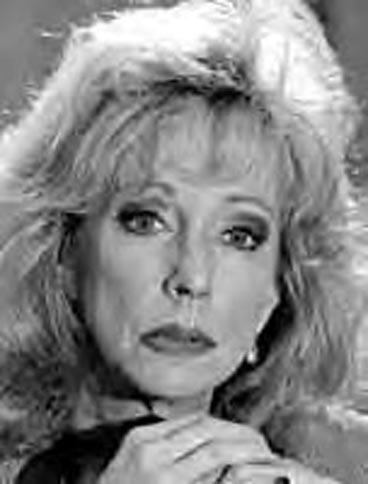 She did not participate in any hearing that pertained to the buyout of the company by the county and the removal of all LV Transit buses from the Strip. LV Transit soon closed its doors forever, but not before disingenuously threatening to sue Commissioner Woodbury for statements he made on a radio program about their demise. Several years after I left public office, ATC VanCom took over the city's transit needs including the Strip route; the lawsuit against me was dismissed; a new roadway that circles Las Vegas is about to be named in honor of Bruce Woodbury; Jan Jones went on to become an executive with Harrah's assigned to promote competitive-to-Las Vegas Indian casinos in California; and David Beamis returned to San Diego to enjoy his military retirement. Today, Las Vegas enjoys one of the best public transit systems in America because of the courageous efforts of a man who had once been considered "disabled."